Herbert "Herb" Al Berry, Sr.
Plant a tree in memory of Herbert "Herb"
3 trees planted in memory of Herbert "Herb" Al Berry, Sr. Celebrating the life of Herbert "Herb" Al Berry, Sr.
Be the first to share your favorite memory, photo or story of Herbert "Herb". This memorial page is dedicated for family, friends and future generations to celebrate the life of their loved one. 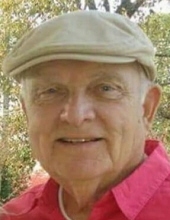 Obituary for Herbert "Herb" Al Berry, Sr.
Herbert Al Berry, Sr. “Herb”, 83, of Prosperity, SC died on Wednesday, March 20, 2019 at his residence. Herb was a beloved father, grandfather, great grandfather and friend. Born on July 23, 1935 in Lamar, Missouri, he was a son of the late Herbert Al Berry, Sr. and Venda Walker Berry. He graduated from Highland Springs High School in 1954 and attended Pittsburg State University, Kansas class of 1961. Herb served in the US Air Force 1954 – 1958 and in the US Army 1961 -1964. He worked as the entertainment director at Fort Lee, VA from 1961 – 1975 and was the Outdoor Recreation Director at Fort Jackson, SC from 1976 – 1994. He was a part of the marching band in high school and went on to be a drummer with a jazz band in the entertainment business. Herb loved jazz music. During his retirement, he enjoyed being with his wife Mallie, spending time at his lake home doing yard work, sharing memorable moments with his children, grandchildren, great grandchildren and friends. He loved nature and bird watching, enjoyed hunting and fishing and crab legs was one of his favorite foods. He treasured the trips taken with family and friends. “Grandpa” enjoyed being with all of his Tampa Jeep Krewe and his Columbia Jeep Club families. In addition to his parents, he was predeceased in death by his sister Barbara Cook and his wife of 33 years Mallie Berry. He is survived by his children, Herbert Al Berry Jr. and Sandy Berry, Teresa Todd and Heath Davis, Michael Berry and Jennifer Berry, Shawn Branham and Rob Branham, Jamie Hicks and Missy Hicks; grandchildren, Natosha Berry, Justin Berry and Summer Muncy, Christopher Berry, Joshua Berry, Brittney Thompson, Marissa Bailey, William Bailey and Maeson Todd; great grandchildren, Braylon Anderson, Kaylan Bailey, Savannah Bailey, Landon Harper, Brantley Bailey, Samuel Berry and Madelynn Muncy. Funeral services will be held at 2:00 pm on Monday, March 25 at the Gazebo in Woodridge Memorial Park, Lexington, SC with burial to follow. Visitation will be from 6:00 until 8:00 pm on Sunday, March 24 at Whitaker Funeral Home in Chapin, SC. The family is most thankful for the devoted care of Herb by Leah, Latoya, Sharon and all the staff of Crescent Hospice. "Email Address" would like to share the life celebration of Herbert "Herb" Al Berry, Sr.. Click on the "link" to go to share a favorite memory or leave a condolence message for the family.